"Wedding cakes," my mom always says, "are people's dreams—spun out of buttercream and sugar." My own dreams are different—made of salt water and seahorses. Mom stands at the kitchen counter with her back to me. 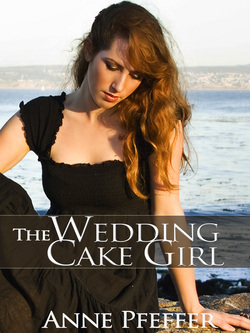 She wears her pink apron that says "Sue's Wedding Cakery, Santa Margarita Island." She must be experimenting with a new flavor, because something smells amazing. because I'm just a senior in high school. her about it, my throat closes up. I've just carried in a big box of cocoa and sugar, which I set down on the kitchen floor. On my good days, I think of Mom as "The Caked Crusader," whose mission in life is to fill the world with perfect wedding cakes. On my bad days, I think more like my friend Zack who, after we saw the film Titanic, began calling Mom "The Iceberg."